The ‘Make Waste Your Business’ campaign was launched to raise awareness of illegal fly-tipping to businesses (SMEs) in Lancashire. 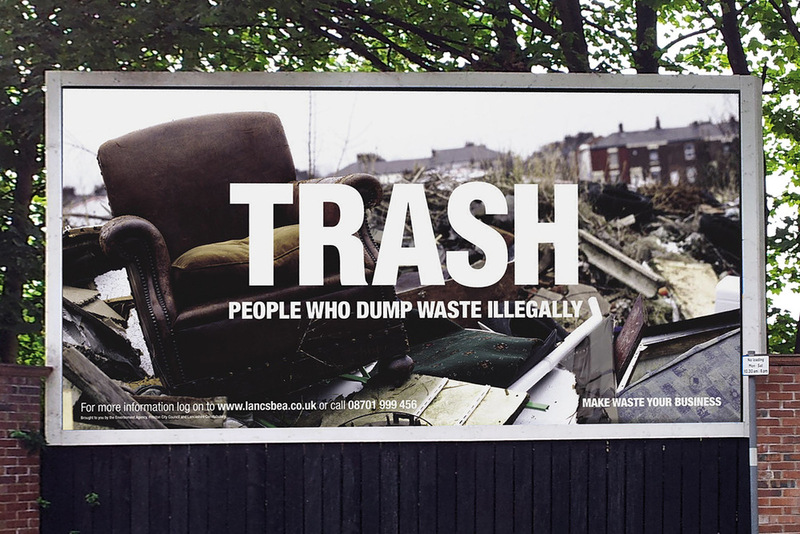 The hard-hitting concept shames those responsible for dumping their waste illegally by labelling them with the same words used to describe the consequences of fly-tipping. As well as targeted outdoor advertising, a ‘Dirty’ calendar direct mail piece was designed to grab the attention of the predominantly male target audience. On opening the calendar it is soon obvious that each month is represented by an image of a fly-tipping site, rather than the scantily clad women they were hoping for.